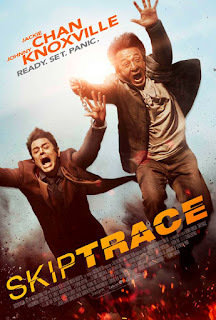 Jackie Chan and Johnny Knoxville star in Skiptrace, a film that is going for The Rundown audience. The film was shot two years ago and has been ready for some time, but has only gotten a U.S. distribution deal recently through Saban Films, who has been snatching up everything that other studios don't want. Even though the film seems like it is going to be a Jackie Chan-lite film, I think it will still be fun. The film, directed by Renny Harlin, has a release date of September 2nd, although I wouldn't be surprised if this went direct-to-video.